Technology and know-how to make your product safer and more reliable. 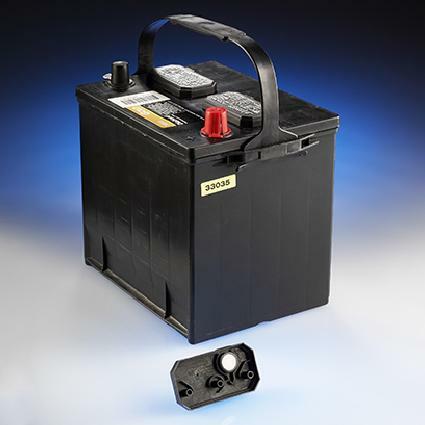 Porex has been helping battery manufacturers improve their products for over 50 years. From the humble flame arrestor used in every lead-acid battery, to critical safety relief vents used in modern electric vehicles, Porex has the technology and know-how to make your product safer and more reliable. POREX Virtek™ PTFE which is used in numerous safety venting and separation applications. Porous polymer and fiber materials used as vents, separators, isolators, or electrolyte holding media. As the largest global supplier of battery vents, Porex offers a wide range of standard products and other options to support battery technology at facilities across the globe. Prevent sparks from entering the battery, reducing the chance of explosion. Reduce the risk of acid spillage and aerosol emissions by providing controlled airflow, venting and optimized back pressure. Allow easy assembly with heat welding or push-fit processing. Protect your battery packs and fuel cells with high performance POREX® protection vents. Designed with the robust POREX Virtek™ PTFE sintered structure, our vents allow pressure equalization or in case of a failure, rapid release of gases while keeping dust and moisture out of the enclosure. Contain a robust PTFE sintered structure–The POREX Virtek™ sintered structure is more robust and will not damage easily like expanded PTFE materials. Do not change when handled– Airflow variations can occur when handling expanded PTFE, but not with POREX Virtek™ PTFE. Assemble easily–Protection vents can be attached using ultrasonic, heat welding, overmolding and a variety of other attachment techniques. Fully assembled vents-Porex can provide custom finished vents to your specifications. Can be designed to act as a breather and safety vent. Components within batteries and fuel cells need separation to function properly. That’s why our teams have developed custom-molded porous components – including sintered particles, PTFE membrane and porous fiber products - designed to isolate or separate components within these products. Offer a wide variety of material and porous technologies– Assortment of materials including sintered particles, PTFE membrane, and porous fiber can be used in several types of batteries and fuel cells.